What if we could sequence whole prostate cancer genomes? There has been little doubt over the years that prostate cancer was a genetically complex disease. No one has ever seriously thought that prostate cancer was the result of a single change in the DNA of the individual patient. Now we finally have some proof! In a paper to appear in tomorrow’s issue of Nature, Berger et al. 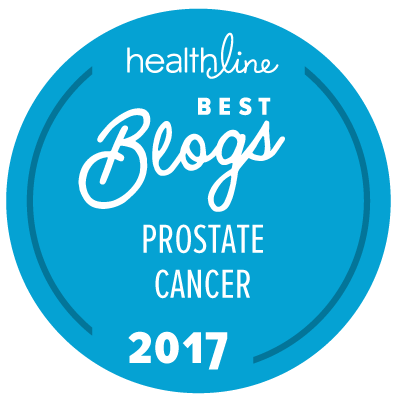 (representing a team of researchers from about 20 different collaborating institutions) have reported the complete DNA sequencing of seven primary human prostate cancers and their paired, normal DNA counterparts. The complexity of the genomic variations is astonishing — even if not completely unexpected. And remember — we already knew that there are some 24 or more genetically different types of prostate cancer. We have no intention of trying to get into the details of this paper for a primarily patient audience. To begin to appreciate the detail requires at least a PhD in molecular biology. Probably at least two PhDs and an MD would help! What we can say at this time is simple. This paper provides the very first whole genome sequencing analysis of human prostate cancer. In the past, efforts have usually been focused on sequencing gene-coding regions of DNA that might be related to the potential for development of new drugs. This new paper goes far, far beyond that selective set of criteria. So what does the publication of this paper actually mean for patients? The message that the Prostate Cancer Foundation is sending is that in the near future, as the cost to sequence a patient’s whole genome continues to fall, it will become cost-effective to sequence that patient’s genome as a key element of any prostate cancer patient’s initial work-up. Based on a comparison of that individual genome to a database of other prostate cancer genomes, it should become possible to make good and accurate decisions about whether the individual patient actually needs treatment at all. Welcome to the world of prostate cancer genomic informatics — in which computer scientists will be able work with physicians to predict your risk for progressive disease by comparison of your genome to that of other patients whose clinical outcomes are already known. The key question is going to be just how fast we can actually make such prostate cancer informatics come to life for real. And think one step further. Men at high risk for prostate cancer (based on family history) might also be able to compare their genomes to those of known prostate cancer patients, refine understanding of their risk based on such comparisons, and take early preventive actions to limit their risk. This report is indeed good news for future cases of prostate cancer. The three major research centers have now issued a detailed media release about this paper, which (despite Chris’s comment above) may be among the most important prostate cancer publications to appear in the past 12 months.